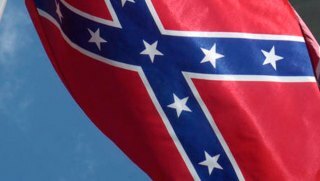 Specialty Maryland license plates depicting the Confederate flag will be recalled this fall under a federal judge's order. On Thursday, U.S. District Judge Marvin Garbis approved the request from Maryland's attorney general to recall the plates, which bear the Sons of Confederate Veterans logo. His order is effective Nov. 17. This is not the first time the plates have come up for recall. Maryland had tried to cancel the plates in the 1990s, but a U.S. District Court decision protected the logo as free speech. However, in June, the Supreme Court decided that states could reject specialty plates as a form of government speech, according to a release from Attorney General Brian Frosh. "This flag is a painful symbol that divides us, conjuring images of hate and subjugation. It has no place in any contemporary government use," Frosh said in a statement. Frosh requested the recall in Maryland with the backing of Gov. Larry Hogan, he said. Maryland joins Virginia and Texas in its recall. The commonwealth has created a new Sons of Confederate Veterans license plate to replace the tags of the 1,600 drivers who had a version showing the Confederate flag.